Step right up! Put your glad rags on! Your best foot forward! Bienvenue au CIRQUE SUBITE! The luxurious LA MORT SUBITE! 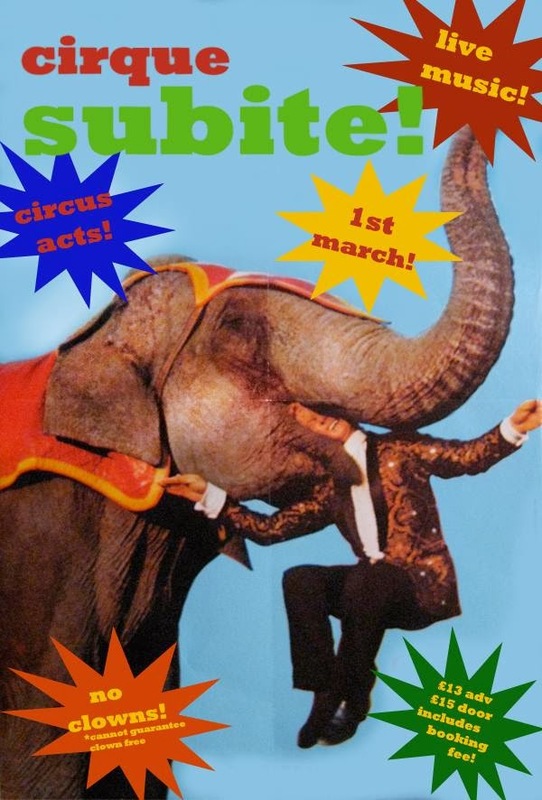 Plus various circus wonders too unconfirmed to be mentioned! All inside the magically illuminated CIRCUS BIG TOP! Compered as ever by the frighteningly inappropriate BEN RICHARDS! OTHER THINGS I may have momentarily forgotten about! See you all there on MARCH 1ST! *show contains some adult material including possible unrestrained potty mouth. Naming no names!